Resource guru Rick Rule is taking advantage of all the negative sentiment in gold. This dichotomy is the brutal truth of resource investing, because if you want to make money in resources there’s no in-between. And Rule would know. 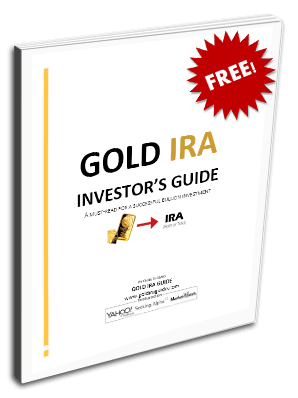 He’s been involved in resource investing since 1974 and currently manages $1 billion for Sprott Global Resources LTD.
Keeping with Rule’s rule, the time to avoid being a gold victim was in 2011. The price reached a high of $1,940 and suddenly everyone was proselytizing the virtues of gold and projecting huge returns ad infinitum. But sentiment is such a fickle thing. Manias seem so real, tangible and lasting at that moment in time, but in reality it’s like a mirage of an oasis in the desert. The participants tend to rationalize the continuation of the mania in variations of a common theme – the supply is low and we’re going to run out of it at some point. This movie has played over and over in spectacular fashion over the last several hundred years, with tulip mania in Holland in 1620, the south seas bubble of the 1700’s and U.S. internet stocks in the late 1990’s. But right now is not the time to be afraid of gold like everyone else. It's time to be a contrarian. The evidence suggests that gold is completely and thoroughly hated, except for the fact that the price is creeping up. In my experience, this is the absolute best time to invest. First, let me refer to an article that I “penned” back in September of 2013. Back then, the gold speculation as measured by net long futures contracts were at the lowest levels in the last 10 years. Each low level of speculation typically marks a low in prices as well. To further make the bullish case, producers of gold were close to being net long as well. In other words, gold miners who are in the business of selling gold were as a whole very close to being net buyers of gold! But it didn’t mark the exact low in the gold market as it gave back another 10% from the September 2013 levels, but I believe the lows are now in. So who’s the latest contingent of investors to hate gold? The London Bullion Market Association (LBMA) recently polled gold analysts from all the notable firms like Barclays, Credit Suisse, HSBC and many others to get their 2014 gold price projections. The average projected price from these professional gold analysts for this year was $1,219. Does this mean that we should stay away from gold because the “experts” think gold won’t go anywhere this year? No, in fact you should do the opposite. If the experts think negatively about an asset that’s going up, you should be sure to buy it – those will be the best investments of your life. And that’s what’s happening with gold right now. Today’s price is $1,317/oz, and even though speculators and the experts hate it, gold is clearly trending higher. It wouldn’t be the first time the LBMA forecast was way off the mark. They predicted a gold price of $1,765 for 2013, which was not nearly bearish enough at the time. And now I’m guessing they’re not nearly bullish enough. More importantly, the gold market says they’re not bullish enough since the price is already about $100 higher than their prediction. You should buy gold now while it’s cheap and everyone hates it – these prime conditions won’t last long.